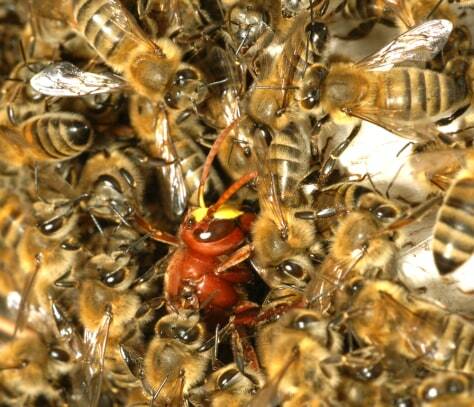 Honeybees trap their predator, the Oriental hornet, by gradually forming a ball of bees around it. They eventually kill it by asphyxiation. The hornet can be seen here as an orange insect surrounded by less colorful bees.